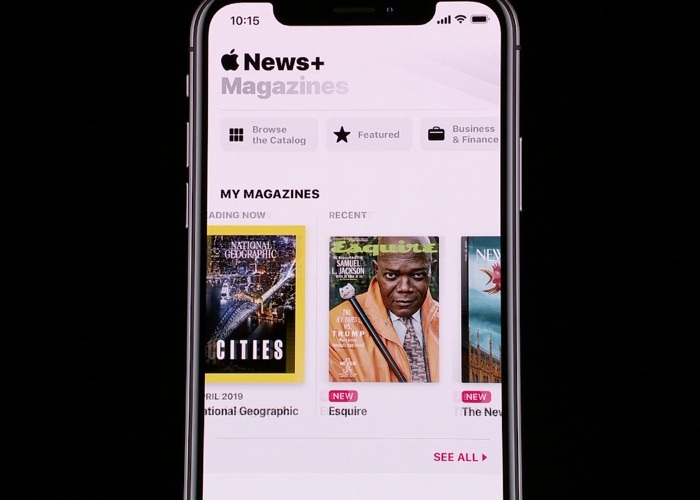 Apple has announced it new subscription based service for magazines and news, it is called Apple News+ and it will be available for a monthly fee. Apple News subscription service will give you access to a wide range of publications like Wired, GQ, Variety, Time and many more, you will have access to around 30 magazines. The new news and magazine subscription service will also include the Los Angeles Times and the Wall Street Journal. Apple News subscription will be available for $9.99 per month and this will give you unlimited access to all of the publications. Apple has also included Family Sharing in the price, so the $9.99 price means your whole family has access to it for the one monthly fee. The new service will be available in the US and Canada at launch, it is also headed to the UK later this year. You can find out more details about Apple’s new magazine subscription service over at Apple at the link below.